One Week Before THE ARK Launches! Wow, okay, it’s starting to get real around here. 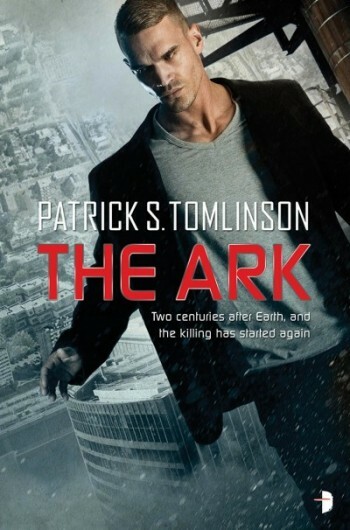 If you’re new around these parts, my debut novel, THE ARK, is being published next Tuesday, November 3rd. It’s a murder-mystery set on a generation ship one month from arriving at its destination. A “Sealed Airlock” thriller, to coin a phrase. This is, to say the least, pretty damned exciting. If you’d like a copy, please, please consider preordering one at Amazon. Preorders are a very important metric for us authors, as they help build buzz within the industry, driving larger volume sales to bookstores, bigger print runs, etc. It’s one of the best and easiest things you can do to support your favorite authors, then leave a review in places like Amazon and Goodreads. Speaking of that, check out the Goodreads page for some great early reviews if you’re still on the fence. Or, read a sample chapter. If you’re still being difficult, I’ll even throw in a free short story! “Last Launch” takes place more than two centuries before THE ARK as a pair of survivors race to escape the dying Earth. And if you really want to stick it to me, you can even enter to win the book itself! Okay, now that’s all out of the way, next week I’ll be embarking on a whirlwind book tour/three day bender for my fans in the Midwest. –Thursday, Nov 5th you can find me at A Room of One’s Own in Madison, WI. -Friday, Nov 6th I’ll be in Milwaukee, WI doing a reading at Boswell Book Company, followed by the official after party at 42 Lounge downtown. -Finally, Saturday, Nov 7th I’ll be wrapping up this leg at The Book Cellar in Chicago, IL. Hope to see you then! Now, if you’ll excuse me, I have a million posts to write for this promotional blog tour. Later!